For those of you dreaming of reaching Mars, Mercury and other faraway destinations minus the chemical rockets, NASA and Russia are warming up to the idea of using nuclear spaceships in the not so distant future. Although $600 million is chump change (at least as far as US federal spending goes), Russia is reportedly going to should most of the cost, with NASA filling in the rest. As a bonus, NASA and Russia are open to partnering with other nuclear powers, which means we could see eastern nations (like China and Japan) as well as European countries contributing their scientific know how in order to ensure that the rocket is a success. While chemical rockets are useful in helping us reach neighboring worlds like the Moon, we are going to need something a little bit faster if we want to see boot prints upon crimson soil. What Off World Farms Need Are Termites And Ants? Since global magnetic fields are a rare asset (at least upon terrestrial worlds), off world settlers will have to rely upon ants instead of bees to raise food throughout the Sol System. While future colonists may not object to partnering with ants (provided they are not poisonous), they may also want to consider using a pesky insect loathed by homeowners and carpenters alike. “The areas of the farm where we didn’t apply pesticides produced a 36 percent higher yield of wheat than the control area,” said Dr Nathan Lo, from the University of Sydney’s School of Biological Sciences, the co-author of a paper published today in Nature Communications. “There are two main reasons we think this has happened. Firstly, the termites and ants create a lot of tunnels under the soil when they forage away from their nests, and this helps water absorption. This is particularly important in dry areas where rain is very sporadic. Using these two organisms, residents upon Mars, Mercury, Luna (aka the Moon) and Callisto can increase the amount of grain they can raise without having to rely upon heavy imports from the home world. Combined with the promise of peepoo bags (for fertilizer), off world colonists may be able to establish thriving communities upon other worlds, enabling humanity to quickly populate our star system without fear of famines due to lack of Earthly supplies. 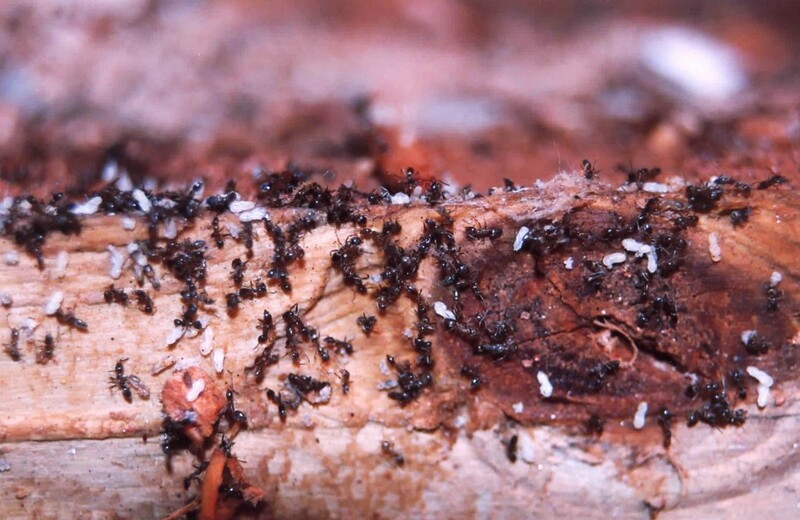 Note: Colonies boasting large bamboo forests however may not like the idea of hosting termites in their own backyard (for obvious reasons), however since ants prey upon termites, the former could be used as a population control for the latter. 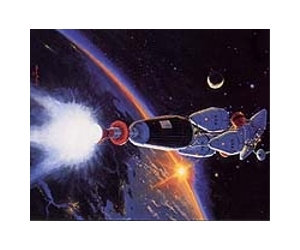 Cheap Interplanetary Travel Via Water Powered Rockets? If you think gas prices on Earth are out of this world, wait until you see the cost of flying to another planet. Regardless of whether you use chemical rockets, nuclear rockets or even VASIMR (the latter which is still a long shot), traveling throughout our sol system will set you back billions of dollars. While such prices are currently only affordable for wealthy nations, a new type of rocket could make traveling throughout the star system affordable for the affluent masses. 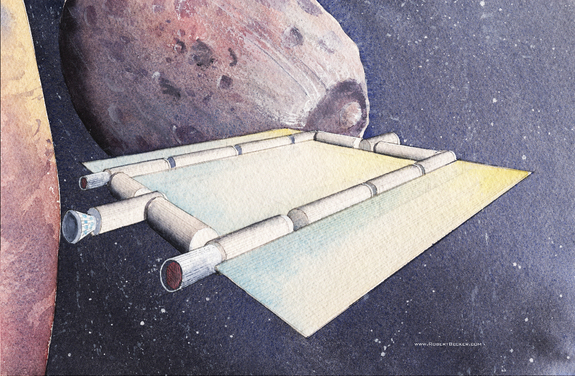 The space coach concept vehicle is water-driven and water-centric, starting with its solar-powered electrothermal engines. These engines would super-heat water, and the resulting steam would then be vented out of a nozzle, producing the necessary amount of thrust. Electrothermal engines are very efficient, and they’re well-suited for sustained, low-thrust travel, researchers said. This mode of propulsion would do the lion’s share of the work, pushing the space coach from Earth orbit to Mars. Brian McConnell (the mind behind this idea) envisions passengers residing within Bigelow Aerospace like modules, with water surrounding the walls of the space craft in order to shield passengers from deadly radiation. While the concept itself is potentially feasible, the craft’s range would be limited by the power of the Sun (which means that this craft probably will not be traveling beyond Jupiter in the semi-distant future). Although craft’s design only exists on paper (or rather upon a computer), McConnell might be able to convert his dream into a reality if he can convince a billionaire to fund the project (or perhaps a space hungry country). 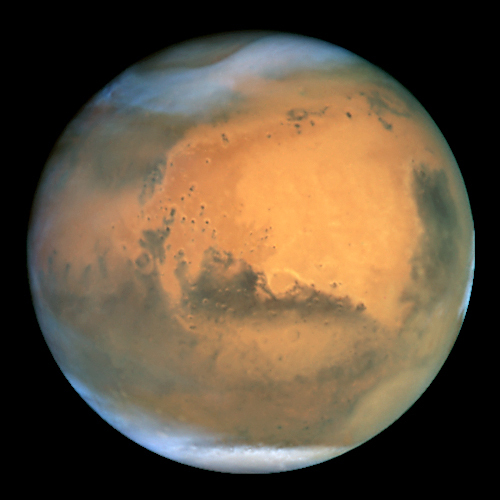 Despite the fact that humanity already has one active rover (note: we had two), a planetary orbiter and a super rover being built to unlock more Martian mysteries, the truth is that we still understand very little about the red planet’s surface. While sending flesh and blood to explore the red planet would go a long ways to demystifying Mars, due to the tight budget it might be wiser to instead send cheap bouncing robots. As seen in the video above, the bouncing, rolling robots would have yet another advantage over their rover brethren as they would not only be able to bounce their way around rocks, but could also be sent to explore craters as well (instead of merely gazing into them). The only “flaw” with the robot swarm idea is the fact that the swarm has to report back to the Lander, which may prove difficult if a high number become lost while exploring the crimson world. It might be wiser for the roving red warriors to instead transmit data on site to the lander via radio waves (or to a satellite orbiting above), which would relieve the robots from having to double back after making a long journey. After traveling millions of kilometers toward the center of the Sol System, the Messenger probe will finally be able to call Mercury home tomorrow by establishing an orbit around the first “rock” from the Sun. 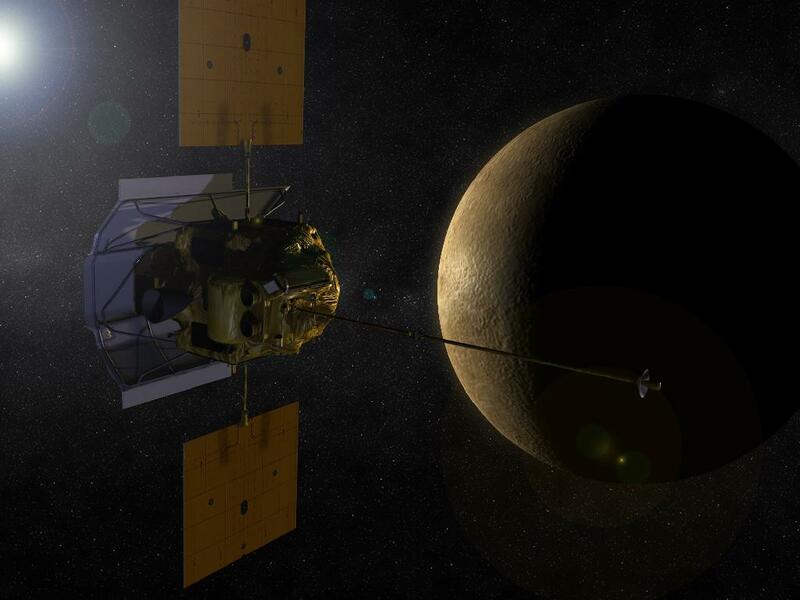 While Messenger will gather a plethora of data about the sun baked world, the Gamma Ray and Neutron Spectrometer instrument could help determine whether Mercury is not only safe to live upon, but worth mining as well. The gamma-ray device needs to cool down starting March 22 to function — a special challenge so close to the sun. It will measure gamma-ray emissions from Mercury’s surface to determine the abundance of elements in the crust, including reflective materials at the planet’s poles that might be water ice. If proven to host an abundance of precious metals and minerals, it might be wiser for humanity to choose to visit Mercury before Mars, despite the former being further away than the red planet. Like the Moon, Mercury may host reservoirs of ice water within the shadowy craters that dot it’s surface, as well as large quantities of helium-3 which could be exported back to Earth in order to help power fusion nuclear reactors. While Mercury may not be as exciting or as beautiful as the red planet (or even our beloved home world), the secrets upon that sun baked world could be the key towards financing our expanse across the Sol System. After being denied access to the ISS (or International Space Station) orbiting the heavens above, China is not scheduling to build their own space station about a decade from now. China is ready to carry out a multiphase construction program that leads to a large space station around 2020. 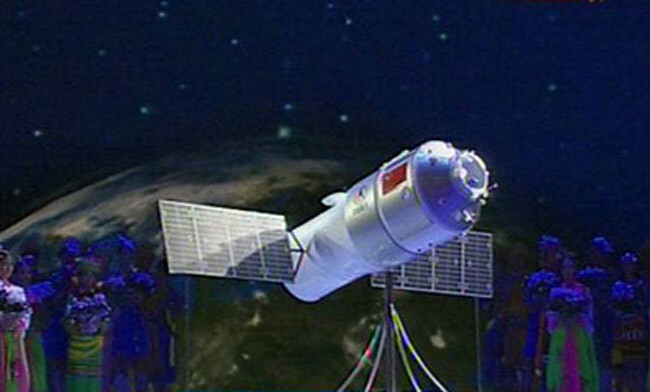 As a prelude to building that facility, China is set to loft the Tiangong-1 module this year as a platform to help master key rendezvous and docking technologies. When completed the space station will allow 3 taikonauts (or Chinese astronauts) to survive up to 40 days in orbit (although the “first piece” will give taikonauts 20 days of life). China has not indicated whether they will open up the space station to the Chinese private sector, although the People’s Republic has hinted about using it as a means to “strengthen exchanges” with other space faring nations. While the Chinese space station is not as impressive as the Genesis space stations from Bigelow Aerospace, it’s construction will provide China with some of the critical details needed in order to survive upon the Moon. Orbiting a gas giant that is over a billion kilometers away from the Sun, settlers upon Saturn’s moon Enceladus do not have the option of powering future outposts via solar panels (as sunlight is rather faint at that distance). While future colonists could always break down water ice into hydrogen and oxygen, it might be wiser for residents to establish geothermal power plants upon Enceladus’s surface instead. Since Enceladus’s orbits within Saturn’s radiation belts, residents will need a way to power their artificial magnetic fields in order to avoid being microwaved by the sixth planet from the Sun. Establishing several geothermal power plants upon the surface could help a future outpost not only power the technology required for their survival, but help them avoid relying upon non-renewable nuclear reactors (or even frequent methane shipments from Titan). 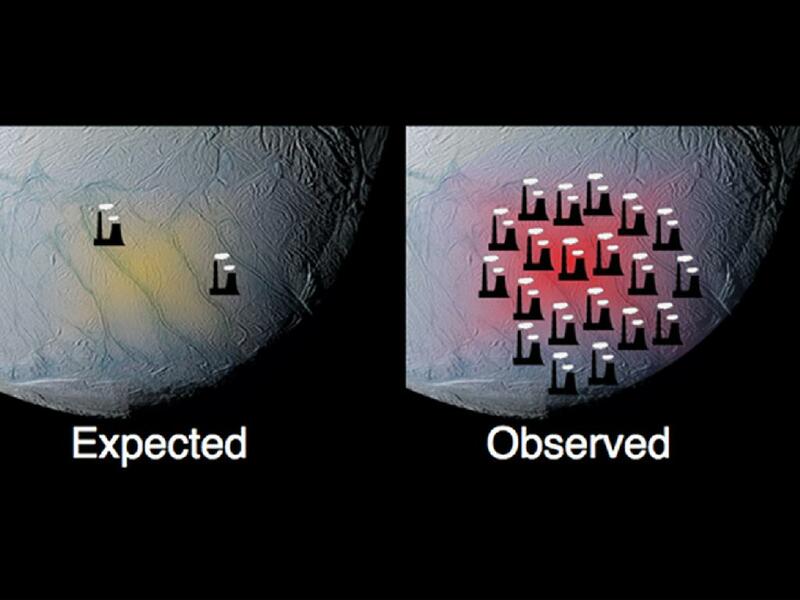 Image: NASA’s Cassini spacecraft, shows how the south polar terrain of Saturn’s moon Enceladus emits much more power than scientists had originally predicted.